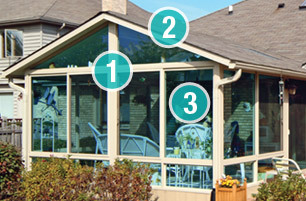 Deciding which type of sunroom would be perfect for your home can be difficult. 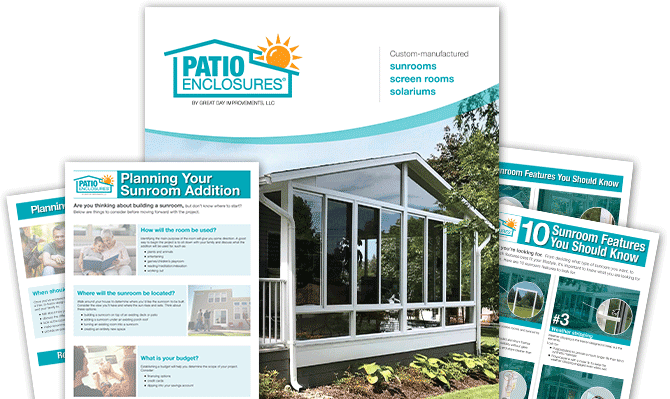 That’s why Patio Enclosures® provides you with photo galleries for inspiration. With endless design options available, we strive to create a perfect space for you and your family. 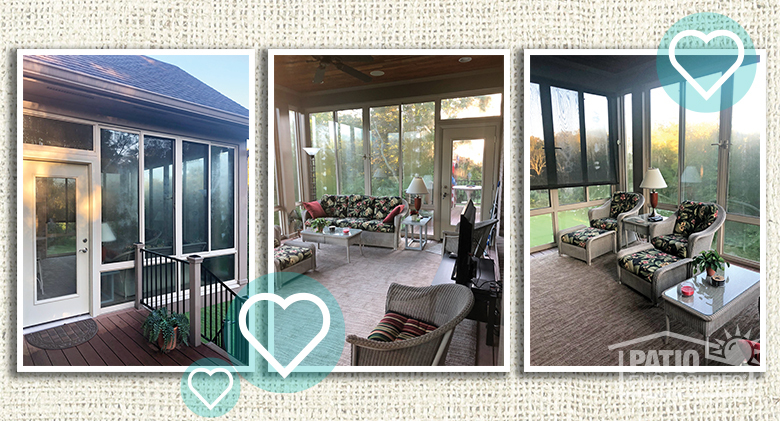 View sunroom photos from our fall 2018 photo contest and learn why our customers love their Patio Enclosures room additions. 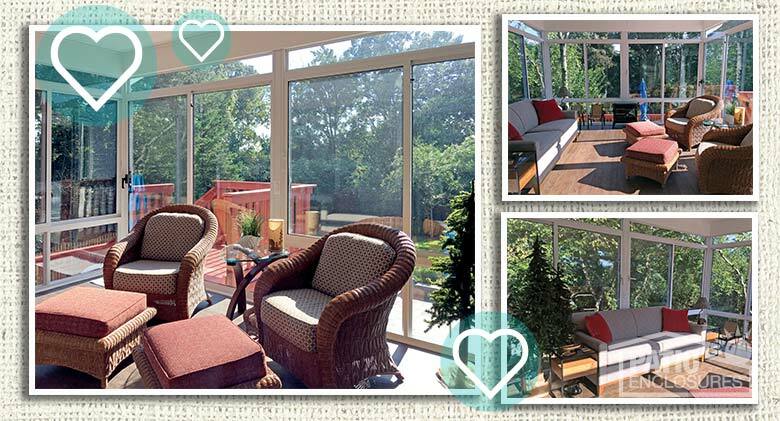 "The sunroom is a four-season room so is useable year-round! It added greatly to our family room as the rooms are adjoining. It is great to use for entertaining or just relaxing. Perhaps the best feeling is being indoors while enjoying the outdoors!" 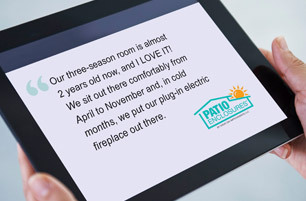 Learn more about three season rooms. 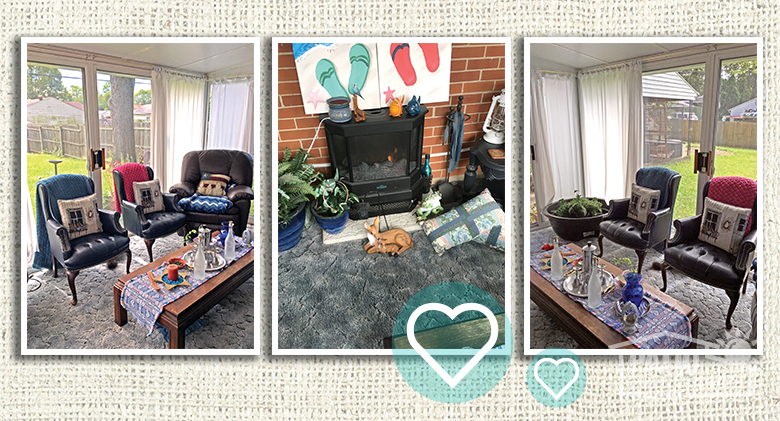 "We love our new sunroom. It measures 20 feet x15 feet and it has a tool shed underneath." "What we most like is it makes us feel like we are in a tree house when we are in the room." "Best money I ever put into my house. In springtime it is wonderful to sit and listen to the rain. In the summertime, we have pool parties. In the fall, we have bonfires and watch the leaves change, and in winter we drink coffee and take in the sunshine. 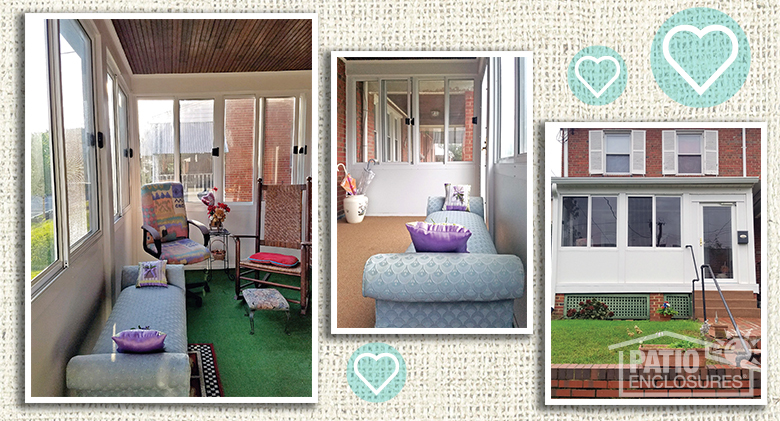 Every family event is enjoyed in the sunroom. Truly a four-season room." Learn more about four season rooms. "As you can see, my kitties enjoy my patio enclosure more than me! 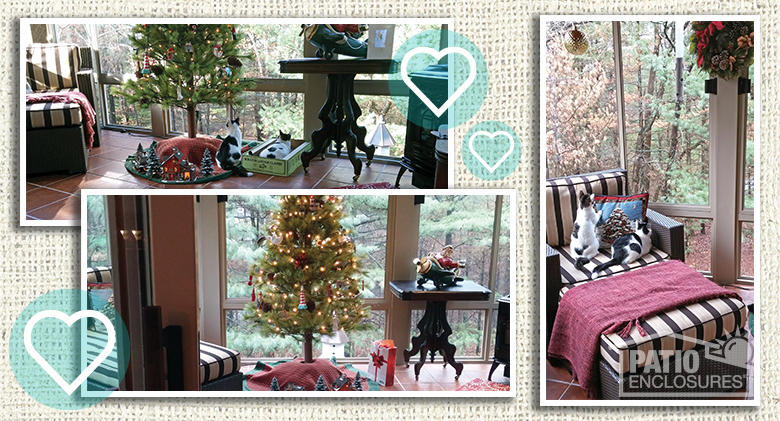 It adds so much beauty to our home and we love to sit in it during the wintertime, even though it’s a three-season room. So much fun to decorate at Christmas, too!" 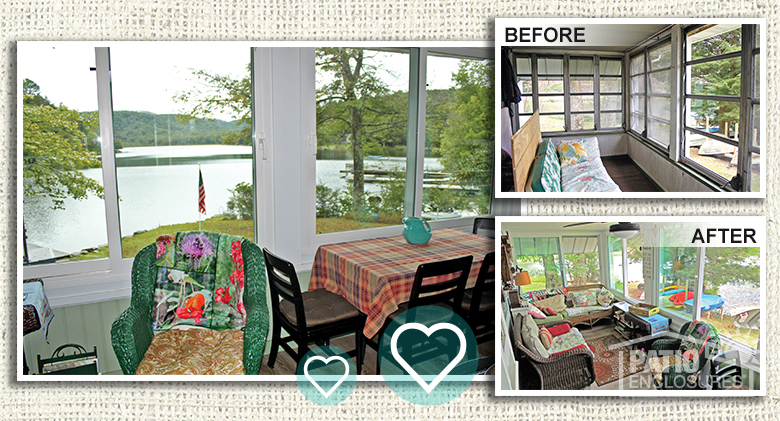 "I live in a small house, but now have a beautiful space for living and entertaining in my new three-season room! I love the quality of the room and the professional way the construction took place. Everyone who has seen the room has loved it and commented on the quality of it. 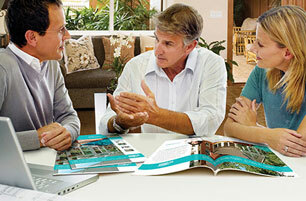 This has been a project that has felt successful from start to finish!" 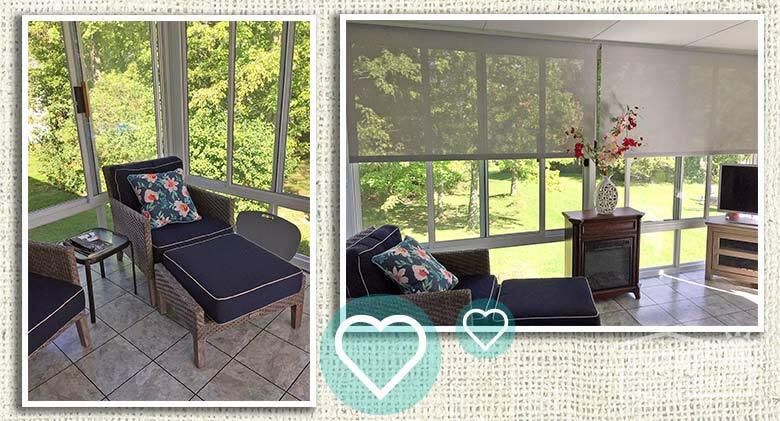 "I love my sunroom because of how new and exquisite it looks. I smile every time I look around at it. I see cars slow down to look at it when I'm sitting out enjoying it. I’ve been told that a good job was done and I am really proud of it." "Here are some photos of the fantastic room you installed for us. I spend my mornings and evenings reading the paper and enjoying a cup of coffee or glass of wine relaxing." 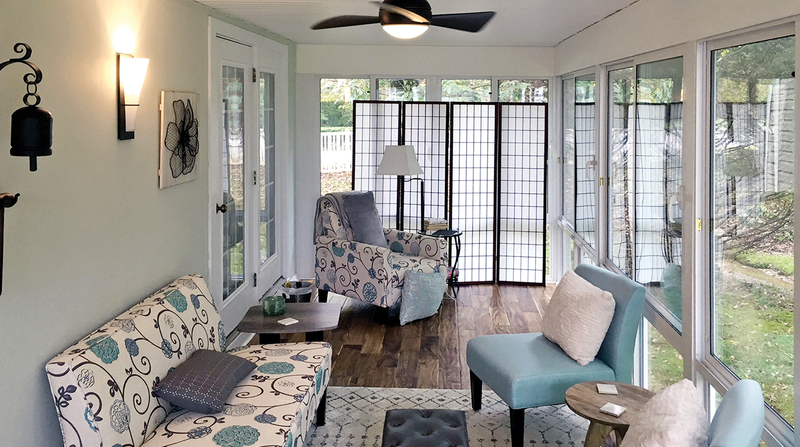 "We absolutely LOVE our Patio Enclosures porch, installed in 2017! As you can see in the “before” photo, the old porch at our lake home was just a messy pass-through used for dropping off fishing gear. 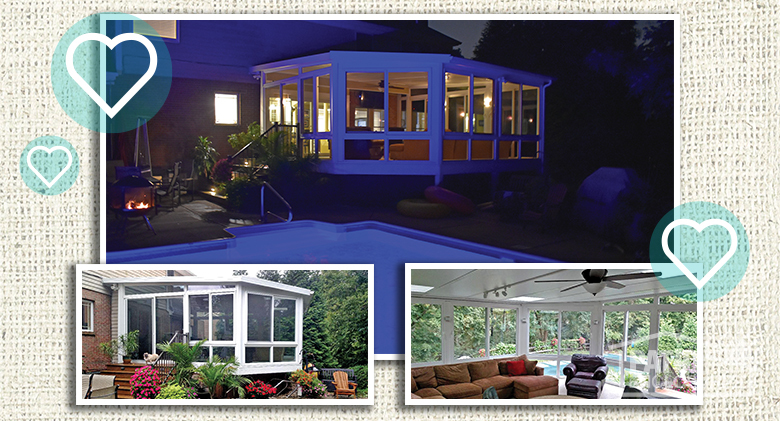 Patio Enclosures helped us to turn it into a beautiful, comfortable room. 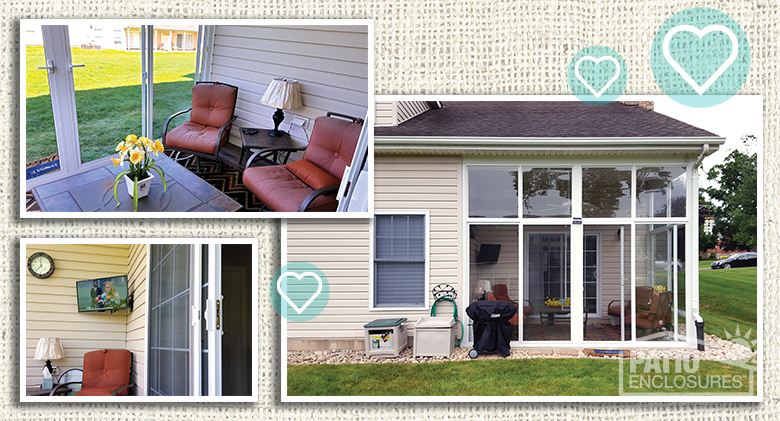 We love that the four-season windows keep us cool in the summer, and much warmer in the cold weather. As you can see from the photo showing our lovely view, we are at the end of the lake, and we bear the brunt of brutally cold winters. These windows held up beautifully during the winter and are so well insulated! 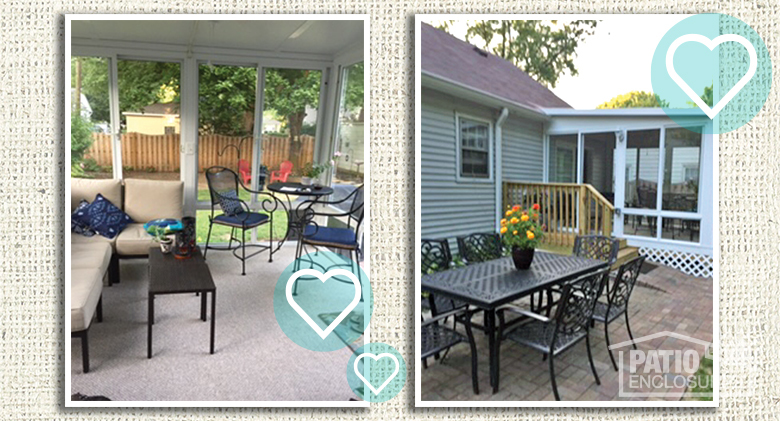 Thank you for helping us to turn this tired, drafty porch into everyone’s favorite room in the house!" "It has made our space weatherproof and comfy. We can use it for 9 months rather than 3 months. Love to sit out there on a rainy day." 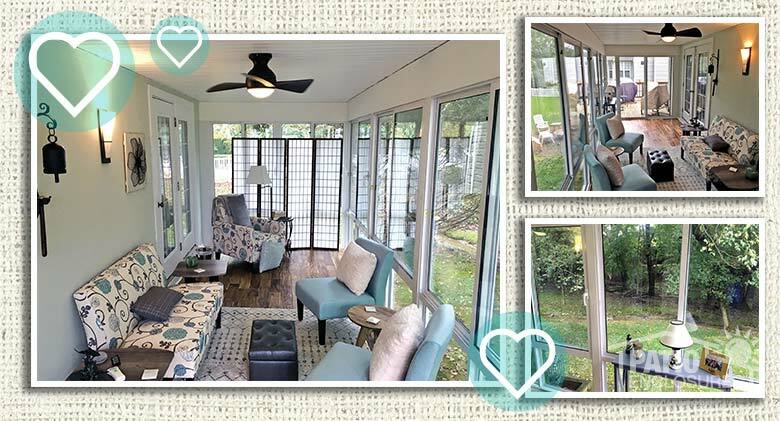 "I love my sunroom. It has a bit of summer and a bit of winter in there. I can keep a little pond with goldfish going all year long and the electric fireplace is warming in the winter. My cats also enjoy it all year round." What is a Three Season Room? 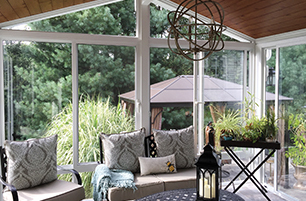 Our sunroom buying resource center provides helpful, educational information to ensure your buying and planning process goes smoothly.